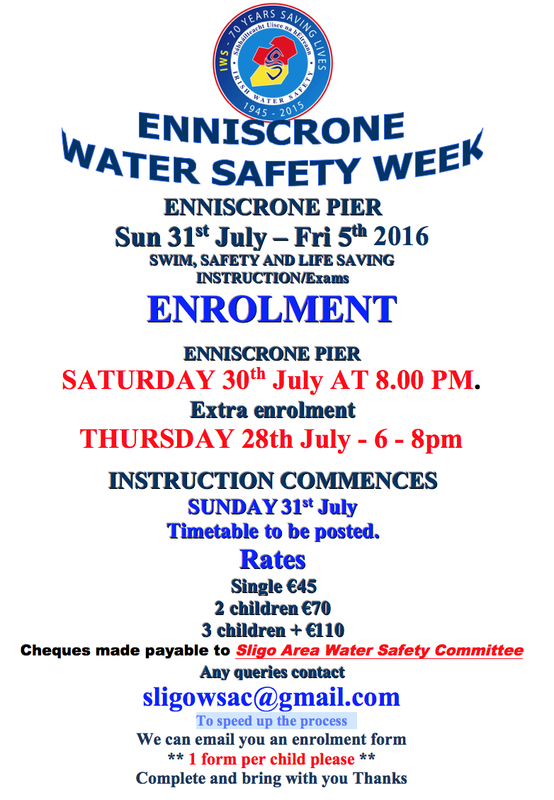 Please click here for the Enniscrone Irish Water Safety Guardian Parental consent form for 2016. 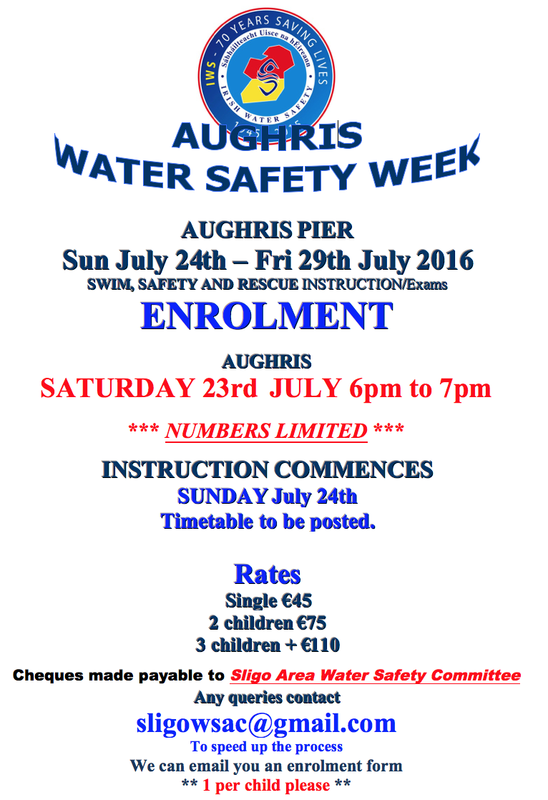 Please click here for the AUGHRIS Irish Water Safety Guardian Parental consent form for 2016. 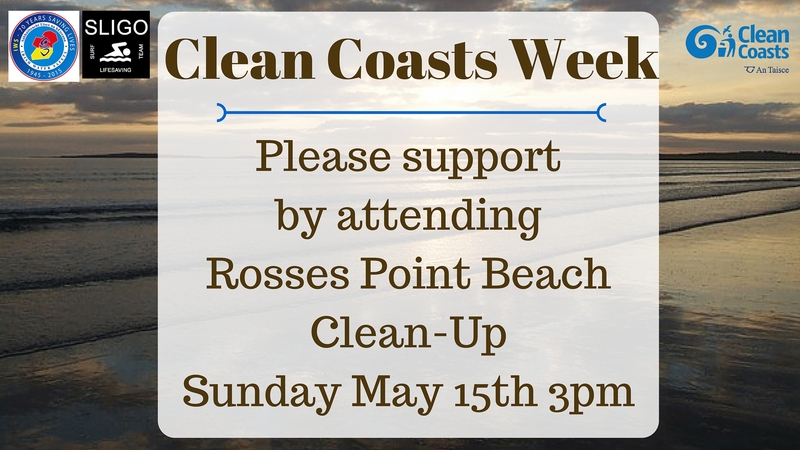 In association with Clean Coasts 2016, Sligo Water Safety and Sligo Surf Lifesaving Club are delighted to be arranging a Rosses Point beach clean up on Sunday May 15th at 3pm. As you know Rosses Point beach is where we train for Open Water Surf Lifesaving (which will be starting next month) and therefore this beach is important to every single one of us. We would ask any members as possible from the club to please come on Sunday May 15th and support this very important event.